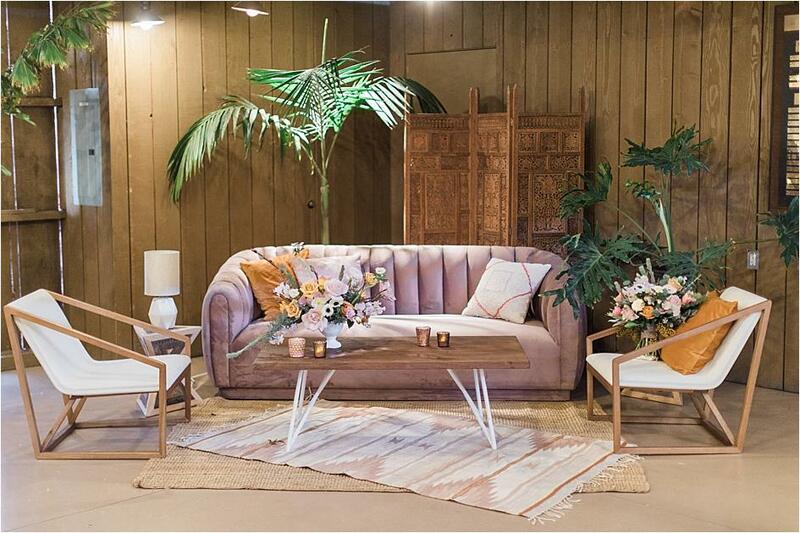 The new trends for Summer 2018 are in- and it's safe to say that we are in love! 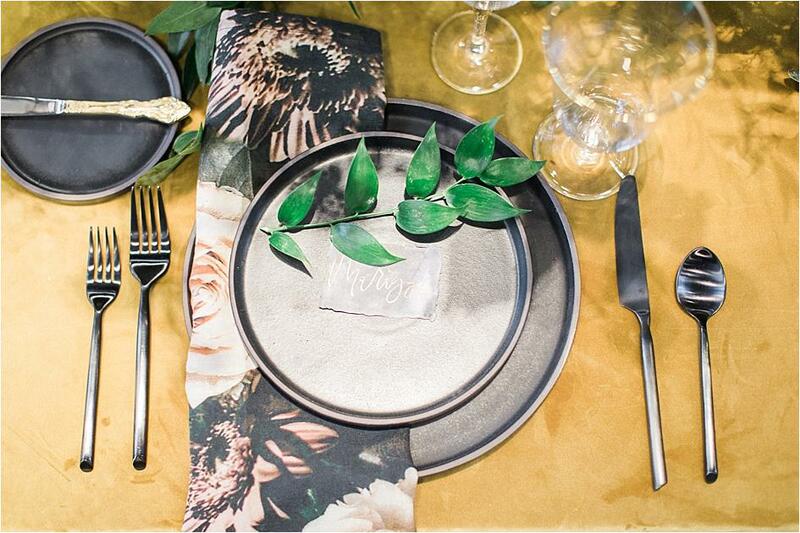 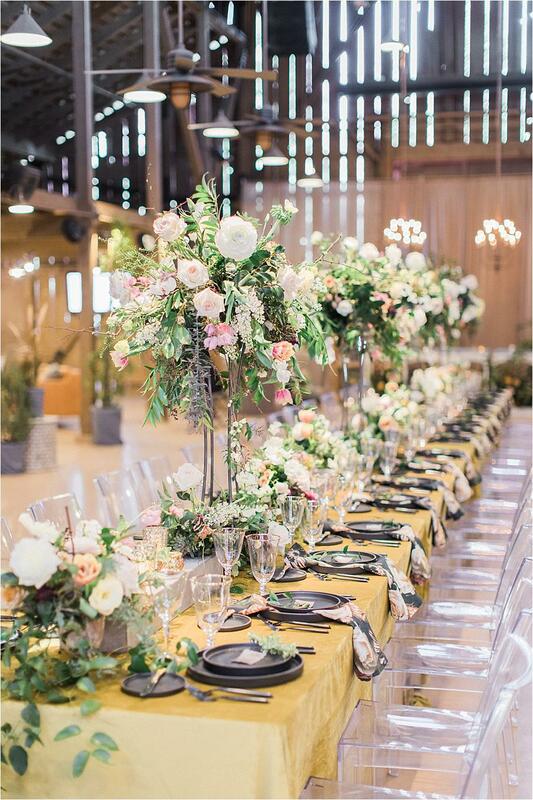 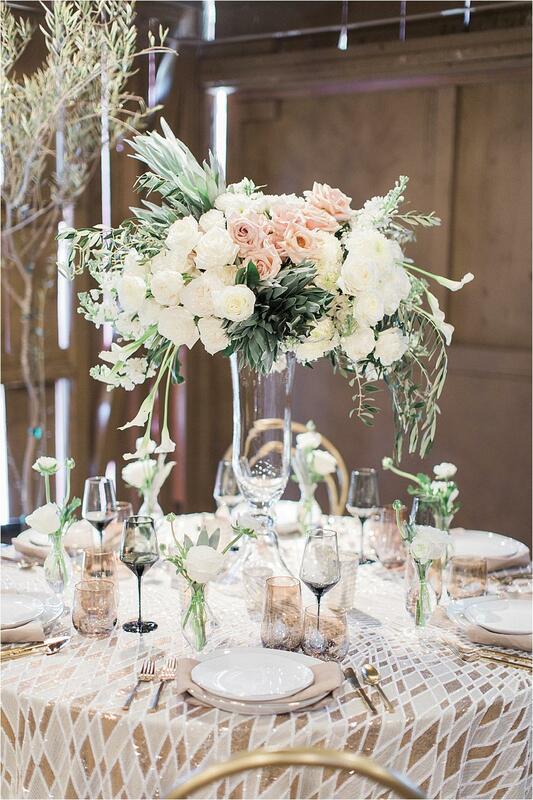 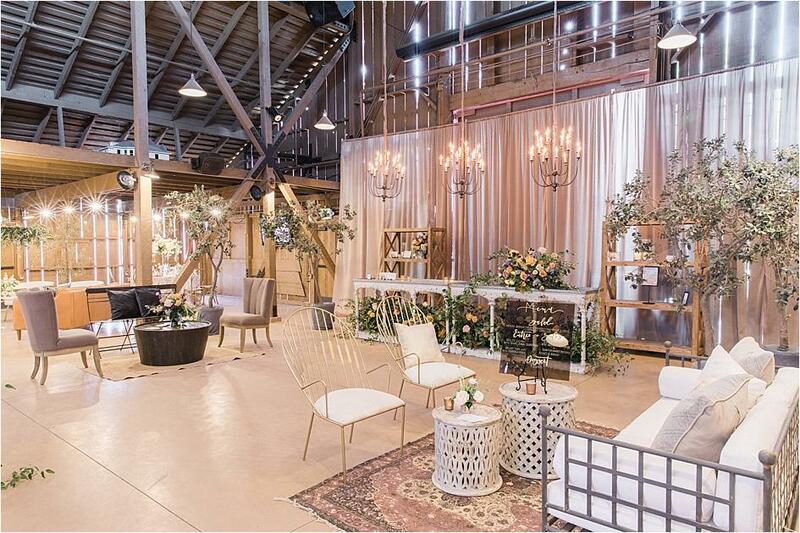 Party Pleasers and Unique Floral Designs teamed up to create a lovely dinner at Camarillo Ranch showcasing breathtaking new rental pieces and floral design trending for this season. 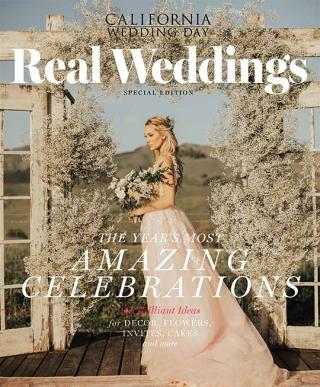 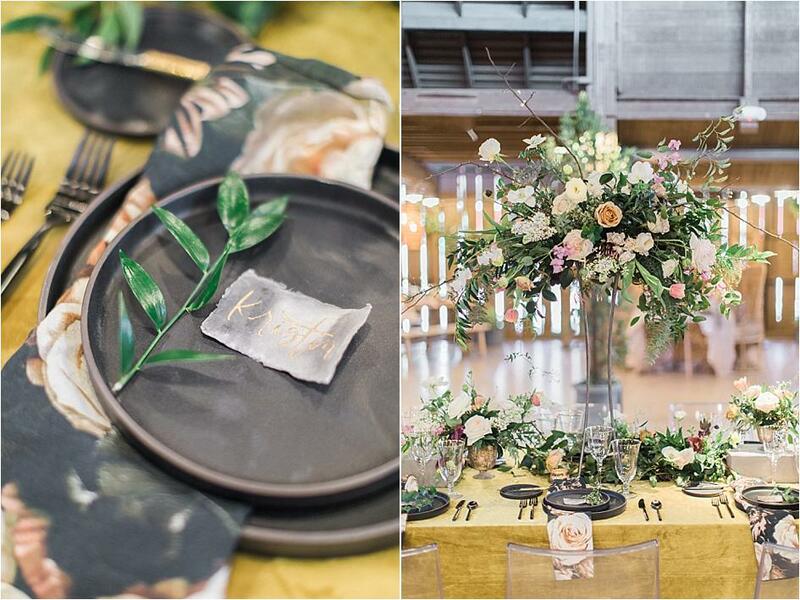 Three distinct sections each emanated their own distinct style and gave us the first look at what's trending for this summer's wedding season. 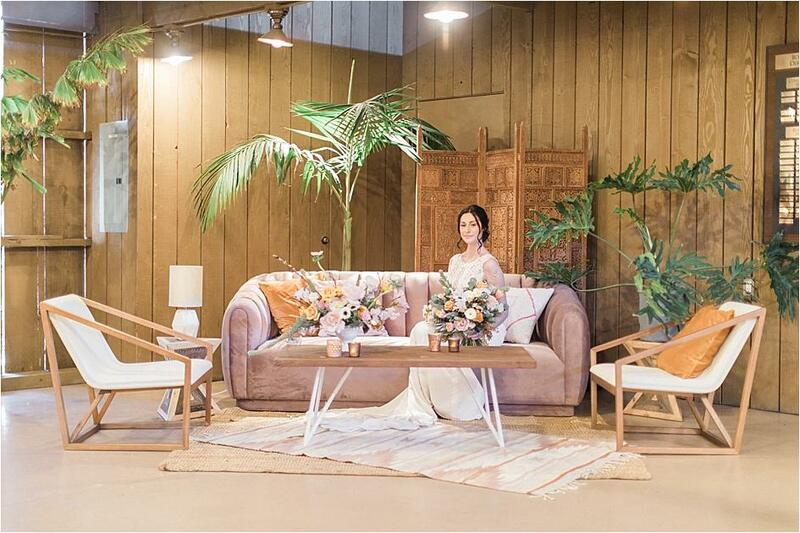 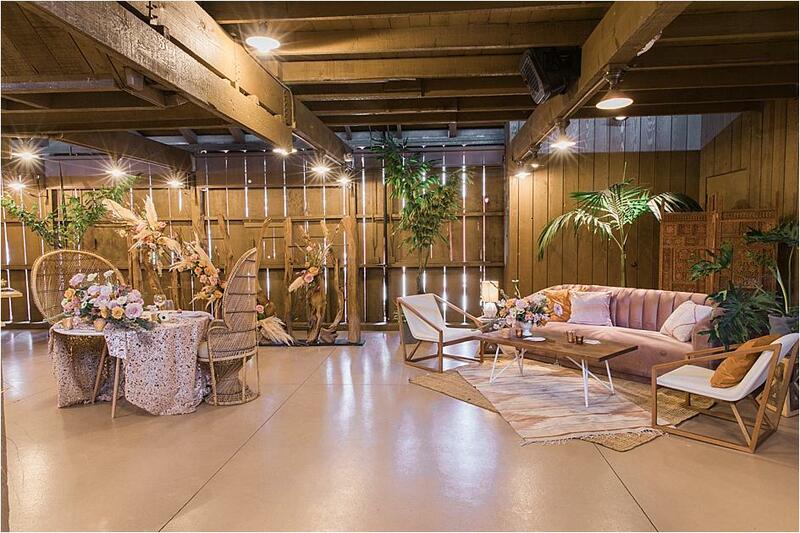 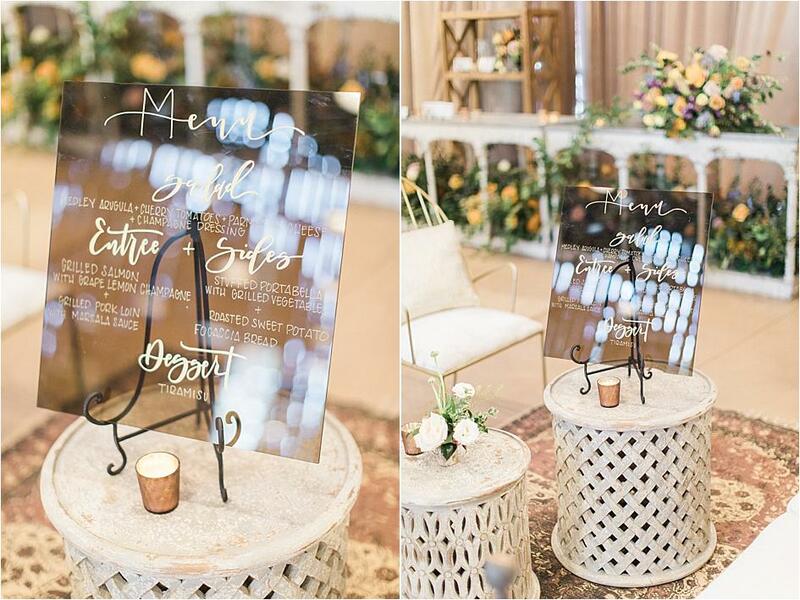 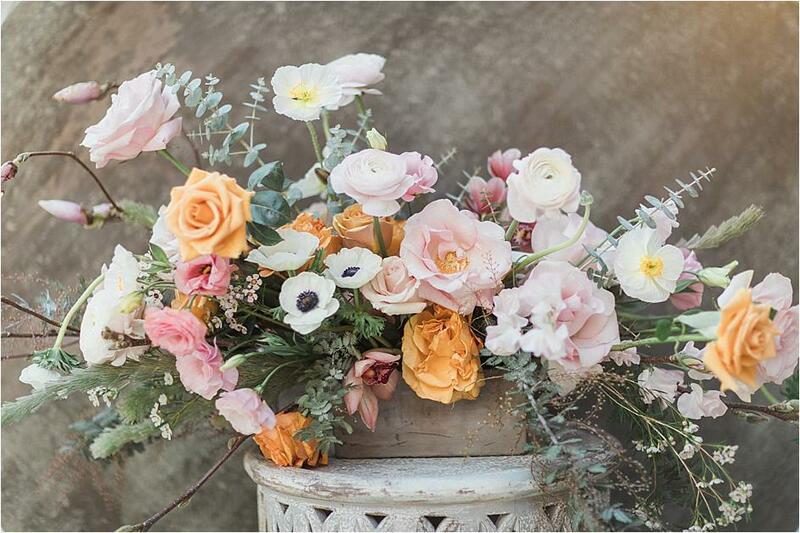 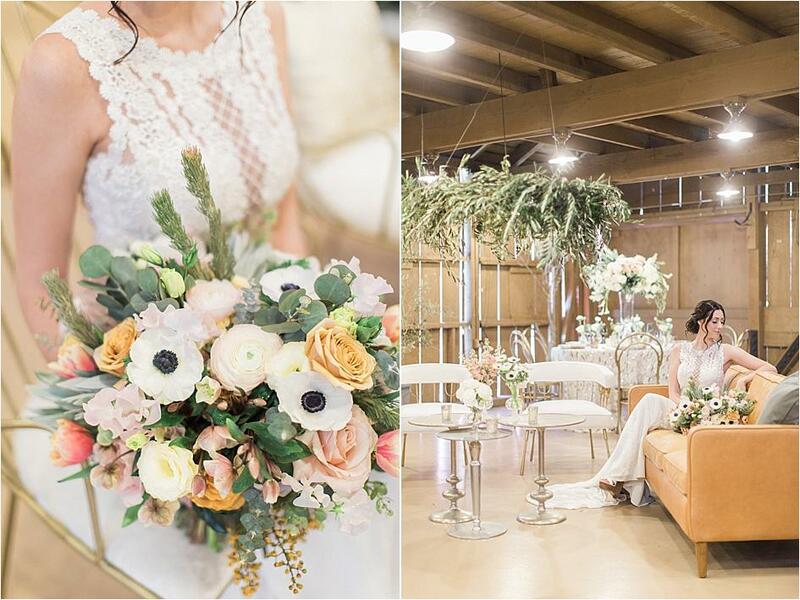 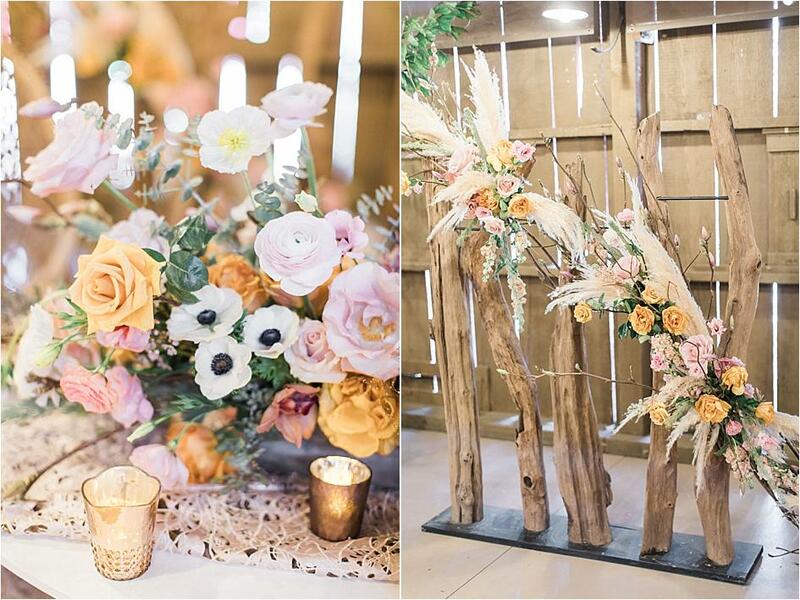 To capture the trendy bohemian and tropical style of today's weddings, blush decor was paired with pieces flaunting midcentury and 70's vibes to create the prettiest setting that was decidedly modern yet beautifully vintage. 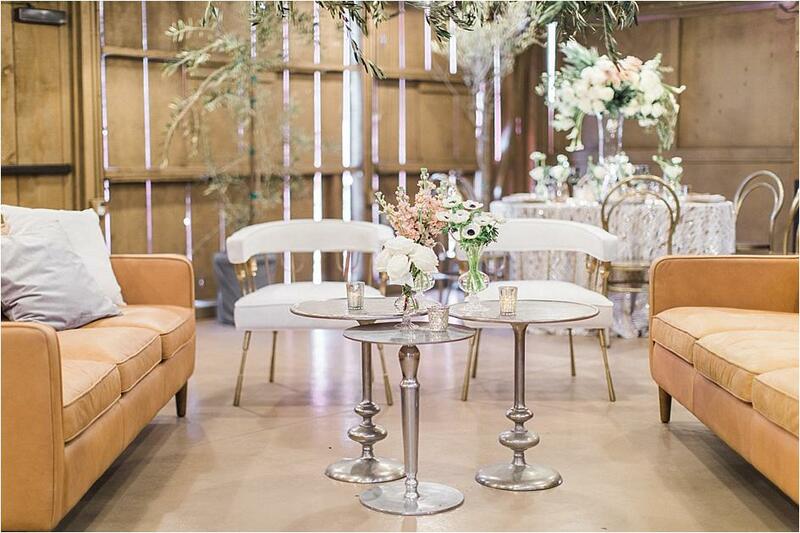 Party Pleaser's Atlanta Lilac sofa and White Leather Mirage chairs set the scene for the design, while blush china and shimmering glassware topped everything off. 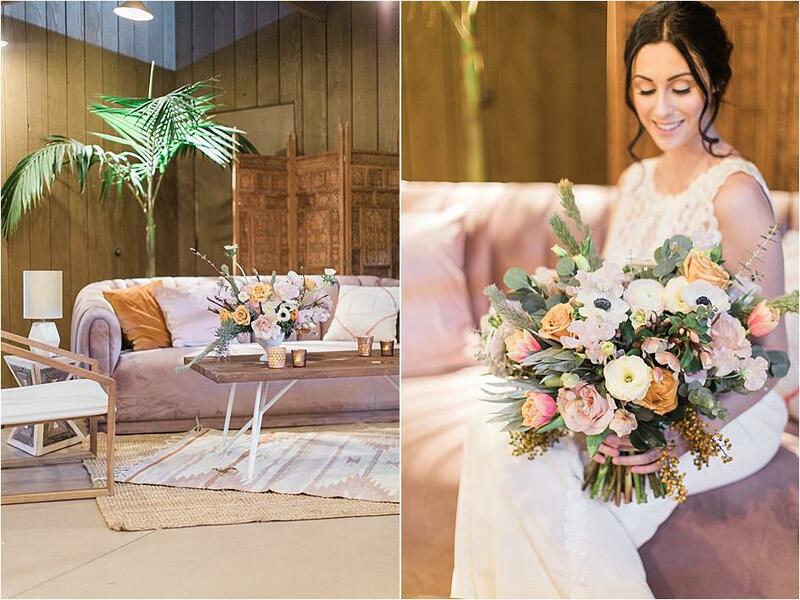 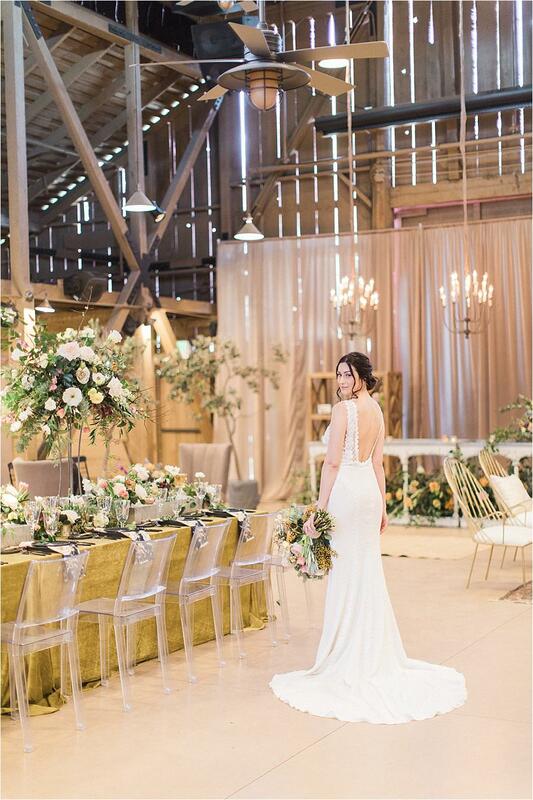 The versatile driftwood backdrops were the perfect addition to the design, while lovely florals from brought everything to the next level. 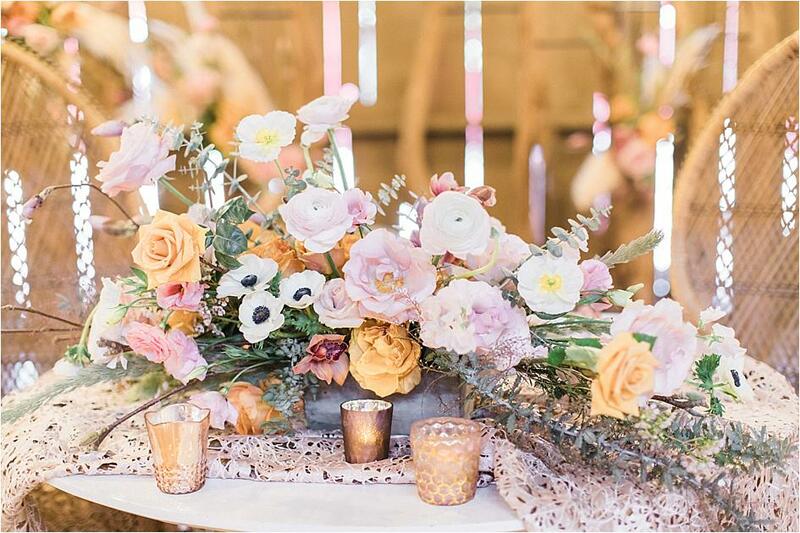 Garden roses, Secret Garden and Carpaccio in hues of pinks and golds paired with white anemones, sweet peas, lisianthus, ranunculus, Icelandic poppies and cymbidium orchids made for the most stunning floral display, while Pampas grass and Japanese magnolia branches provided a breathtaking backdrop to the bohemian sweetheart table. 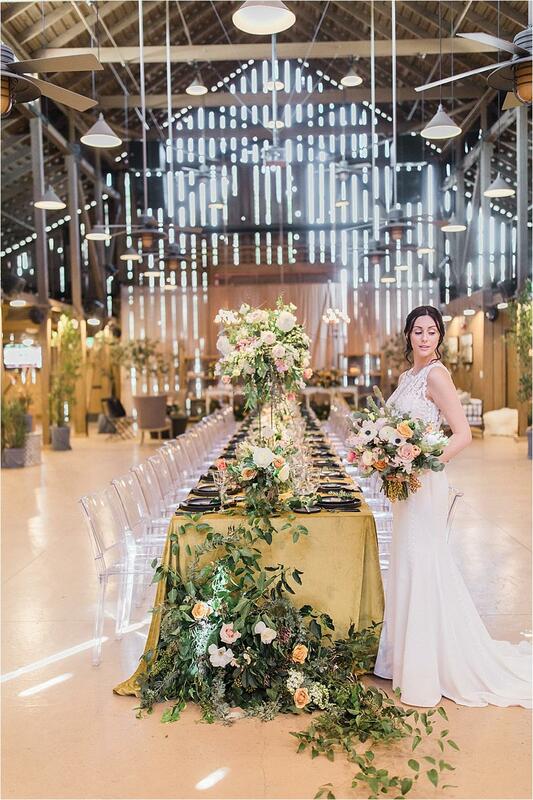 The dinner table was dressed with black and gold and adorned with gorgeous florals including southern similax, acacia and jasmine. 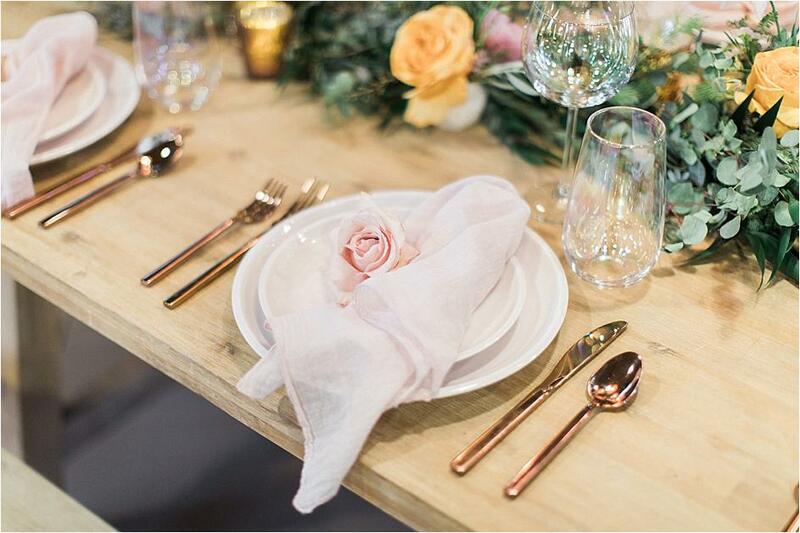 Floral napkins served as the initial inspiration, while a traditional Old English feel with a modern edge rounded out the design. 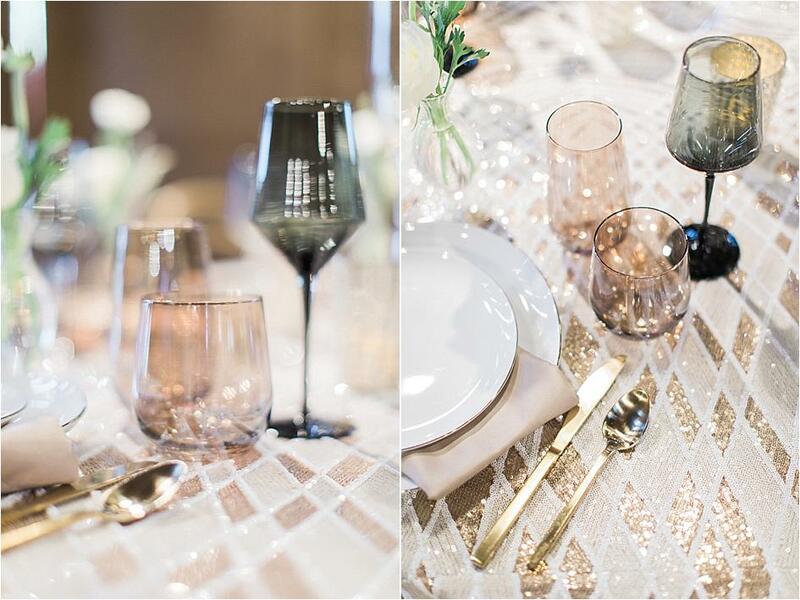 Onyx china and matte black flatware served as the perfect accent color, while gold rim glassware and butter knives added a pop of glam. 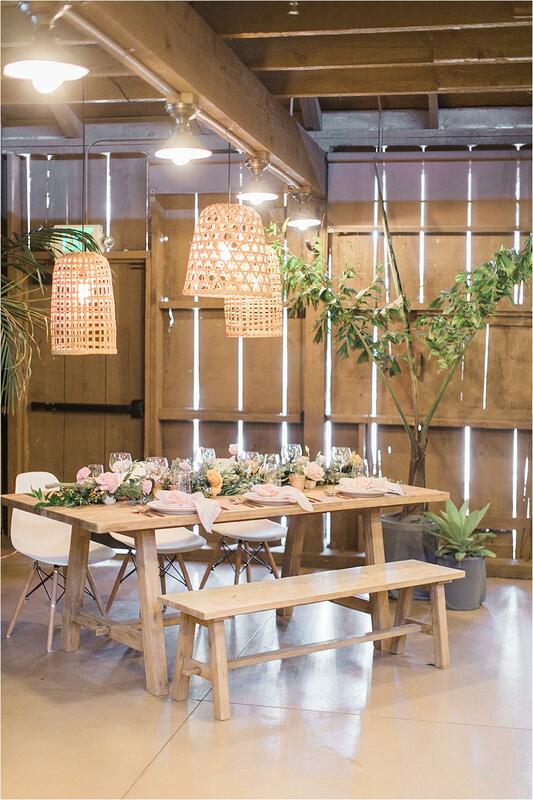 Square black ghost chairs drew attention to the table itself while keeping with the contemporary style of the table. 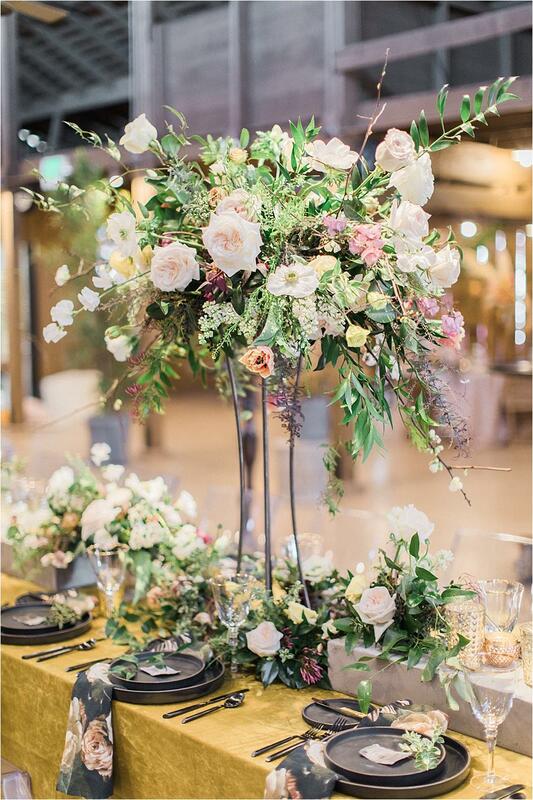 Towering floral arrangments boasting garden roses, white lilacs, Hellebore and Japanese sweet peas and more were a highlight of the design. 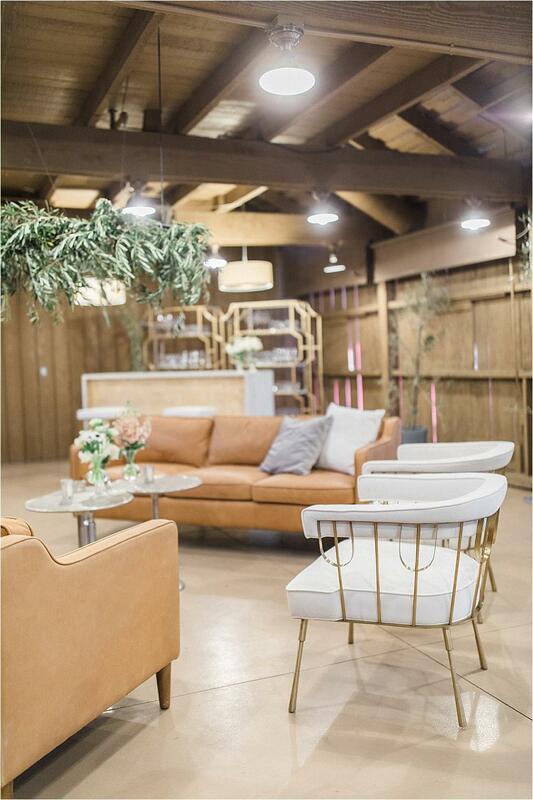 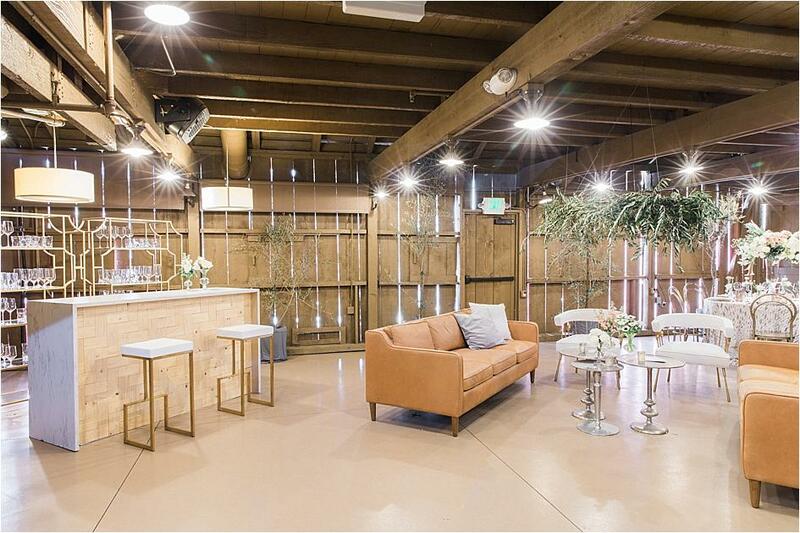 Showcasing an Old Hollywood-meets-contemporary feel, the Modern Glam design boasted seating fit for a queen. 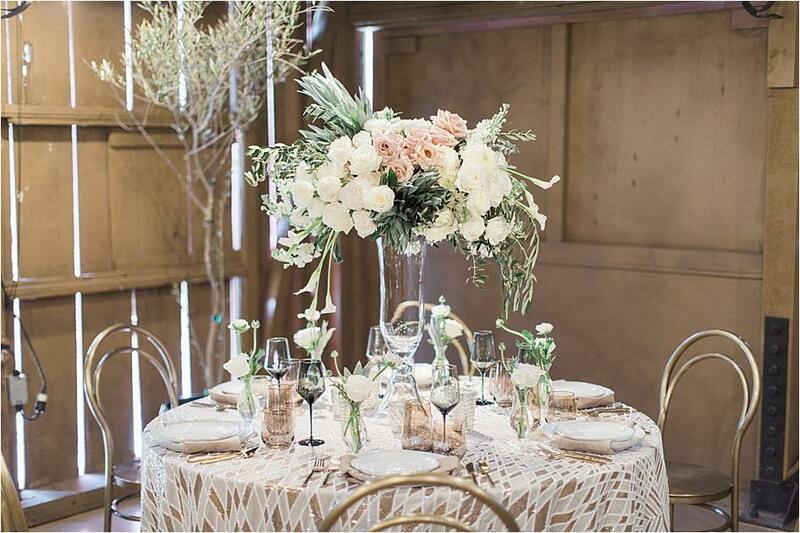 The all-new Brass Deco dining chairs and gold and white bar stools and arm chairs perfectly outlined the space, while the dining table boasted colored glassware and Cher sequin linen, adding to the shimmer and shine of the design. 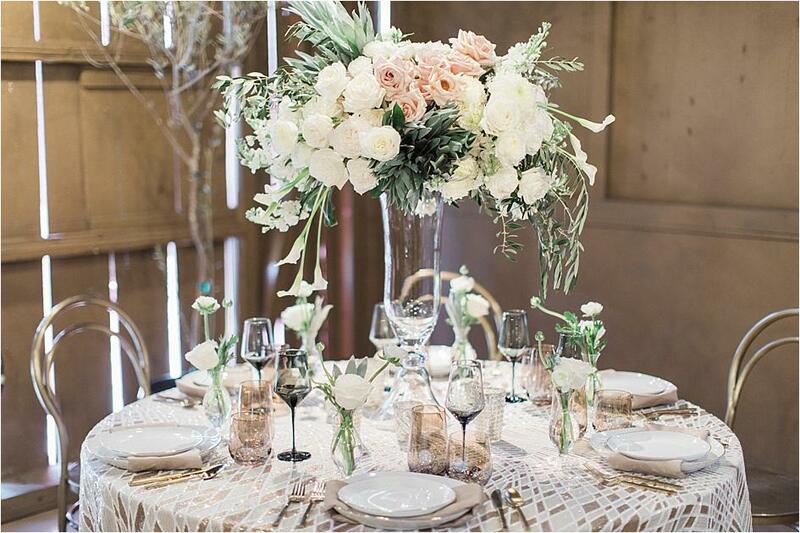 Centerpieces highlighted roses and China mums and each placesetting was graced with a delicate glass budvase, adding a personal and lush feel to the table. 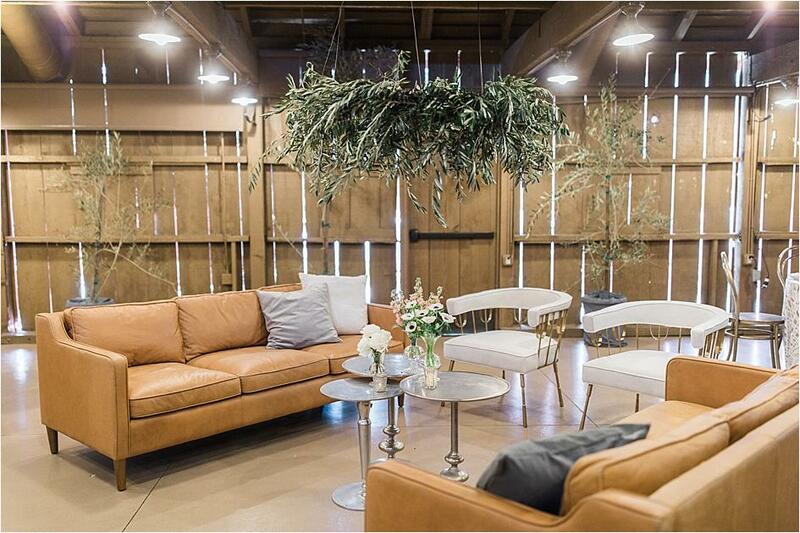 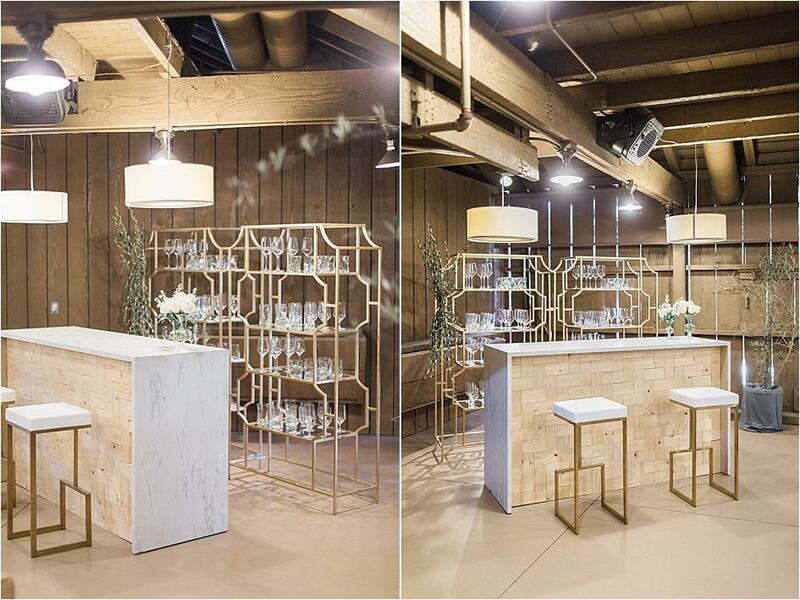 Leather sofas added a masculine touch, complementing the marble bar.